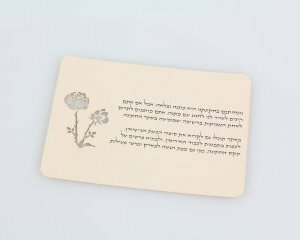 In many cases it is necessary to convey a message or additional information to the guests that cannot be included in the wedding invitation, such as a thank-you card, a map with directions, a request to avoid gifts or alternately to donate the gift to a specific cause, an invitation to a Hina party – a traditional party held prior to the wedding and attended by the inner circle of relatives and friends, an invitation to the actual wedding ceremony that is to take place before the wedding party, and so forth. 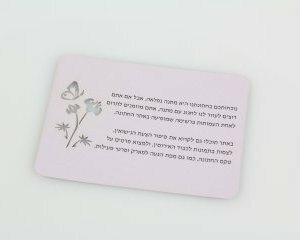 One respectable way to send such a message to the guests is a card enclosed with the wedding invitation. This card provides yet another opportunity to brand the event and adhere to the design theme and style we had selected. The wedding branding effort and the design style you select may be reflected in additional complementary items such as custom-designed serviette rings, ornaments for wine glasses carrying the personal signature of the bride and groom or the wedding date, custom-designed menus and table numbers that match the over-all branding theme. 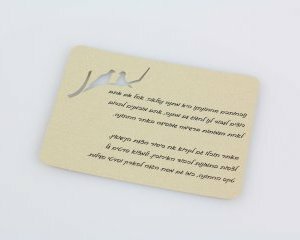 We produce the branding items especially for you, with a personal touch of your names, your initials, the wedding date or a combination of all of these elements. 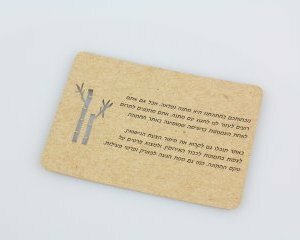 In addition to their branding function, these items serve as personal mementos your guests will be happy to keep when the event ends, and will give your guests another reason to evoke happy memories from your exciting event. 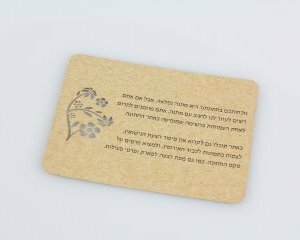 Thank-you cards are a special way to thank our guests for participating in our exciting event and sharing our happiness. 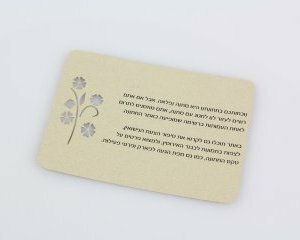 A personalized laser-cut thank-you card conveys a sense of personal attention and the touch of meticulous, careful art work that expresses our appreciation of our guests. 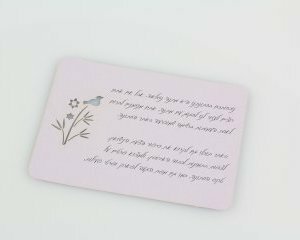 The card may contain a personal message of gratitude, a phrase or a quotation that represents you or the wedding event. 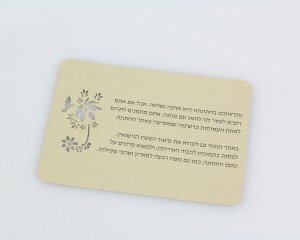 On our thank-you cards, the names of the bride and groom and the date of the event are artistically cut on lace-like paper or some other design that complements the design theme of the event. 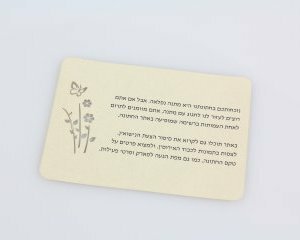 A thank-you card in which so much thought and effort were invested will be kept for a long time and evoke memories of exciting moments.